The Grammys #MeToo Performance Will Be A "Moving Moment." I'm Moved! Looks like the Grammys are scrambling to address sexual misconduct in the music industry. 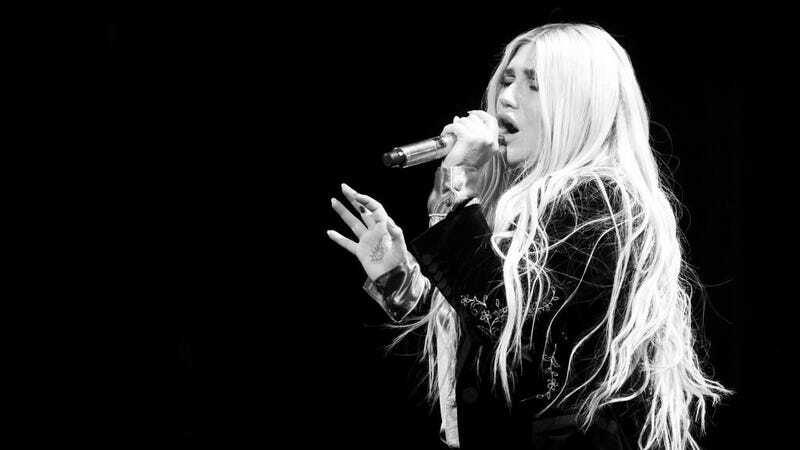 On Thursday, the New York Times reported that Kesha will lead a powerful performance of her 2017 single, “Praying,” joined by “Havana” singer Camila Cabello, Cyndi Lauper, Best New Artist nominee Julia Michaels, and ascendant R&B star Andra Day. “Praying” is Kesha’s chilling comeback ballad, one not so secretly squared at Dr. Luke, the producer she’s accused of persistent physical, emotional and sexual abuse, and is still embroiled with in a legal battle. It seems like a natural choice, and I’m confident Kesha will get it right—let’s just hope the Grammys do her, and survivors everywhere, justice. I’m concerned they won’t? The 2018 Grammys host and karaoke maniac James Corden, for one, is expecting the performance to be affecting, telling the Associated Press, “I think it’s going to be a moving moment.” He also plans to wear a white rose in solidarity, as part of the extremely last-minute effort led by Roc Nation senior VP Meg Harkins and Interscrope/Geffen/A&M Records’ Karen Rait to acknowledge sexual assault in the music industry. (The move started on Monday when both women realized there were no other plans for the awards to address the issue). It’s akin to attendees wearing black at the Golden Globes, but just with like, three fewer weeks to prepare. The Grammys’ noncommittal, last-ditch efforts feel like a token gesture, a college senior cramming before a final, a hole punch, just to fulfill an obligation before Corden carpools his way around Madison Square Garden. Kesha performing one of the most gutting singles of 2017 will be a moving moment, for certain. But it’s hard to shake that it’s just too little too late.